As you know, Xero Central is now the home for all types of Xero support articles. 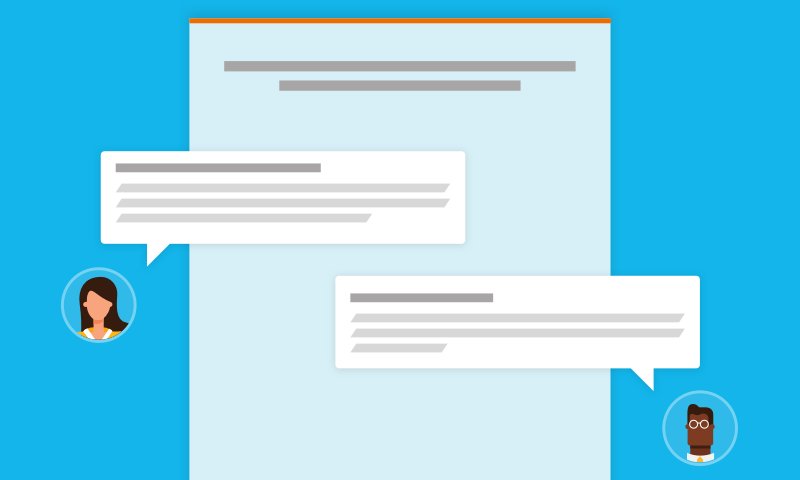 To make it even more useful, a new discussions feature now lives right in Xero Central. You can go to discussions to ask questions and find answers from other Xero users including many accounting and bookkeeping partners. You can also answer questions and showcase your own Xero and business expertise. Weâ€™re sure that discussions will quickly become a vibrant, social Â place where you can get fast answers and get to know the wider Xero community. Because discussions is part of Xero Central, discussions with at least one comment or best answer will appear as part of search results, along with articles. Over time, as more people ask and answer questions, machine learning will get you to the right answer faster. If youâ€™ve been active in the Xero Business Community, we thank you for your awesome contribution. We think youâ€™ll find discussions more intuitive, easier to use and visited by more people since itâ€™s so accessible on Xero Central. The Xero Business Community still exists, and while discussion topics are now read-only, you can view discussions you were involved in. We hope youâ€™ll continue to add and vote on feature requests and write app reviews until we introduce a new home for them in Xero Central. Please note that any status youâ€™ve got or questions/answers you provided in the Xero Business Community wonâ€™t transfer to discussions. By taking part as youâ€™ve done in the past, youâ€™ll quickly build your new presence in discussions and help other partners and small businesses around the globe. Youâ€™ll also be recognised for your contribution under your Xero Central Profile. 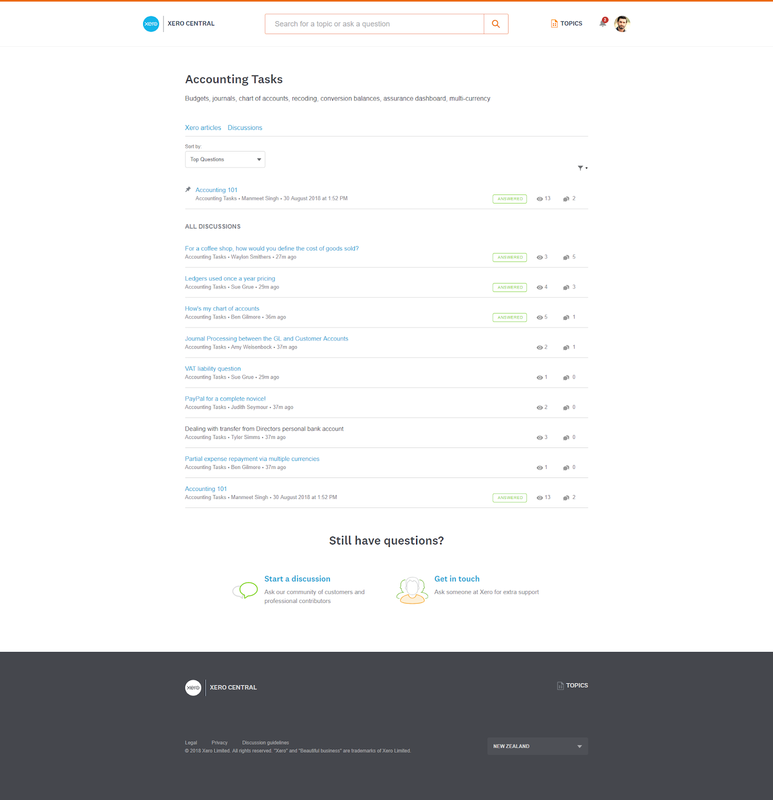 To begin a discussion, look for the â€˜Start a discussionâ€™ button at the bottom of a Xero Central article. Â If youâ€™re already logged into Xero youâ€™ll be automatically authenticated for Xero Central and can start a discussion. Â If youâ€™re not logged in, use your Xero login to access Xero Central. This article provides more details about the new Xero login. Youâ€™ll be prompted to update your Xero Central profile with a photo and a short bio the first time you click â€˜Start a discussionâ€™, then youâ€™ll be all ready to go. Your profile will be visible on the discussions leaderboard and if youâ€™re a Xero partner, your profile will connect readers to your advisor directory listing to give potential clients more information about your practice. We thank everyone whoâ€™s made the Xero Business Community so successful and we hope you enjoy being part of discussions on Xero Central even more. Please tell us what you think so we can keep improving things for you. The post Xero Central keeps getting better â€“ introducing discussions appeared first on Xero Blog.